It’s a typical morning in New York City. 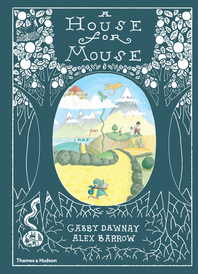 Hard-working mice are crossing town on the subway and making their way to their jobs. 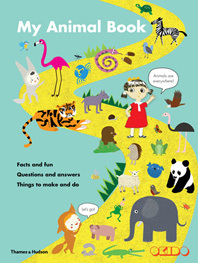 Some bake bagels inside the Chrysler building, while others organize the bookshelves in the Strand Book Store. 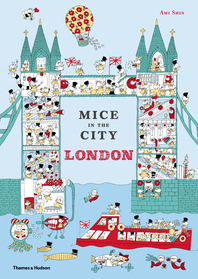 Glimpse inside iconic buildings and landmarks and see a wonderfully frenetic world of industrious mice. 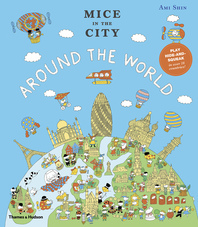 Each colorful page of Mice in the City: New York is teeming with surprises and invites children to play “hide-and-squeak” with a black-and-white cat, an accordion-playing mouse, and a mouse in a blond wig. 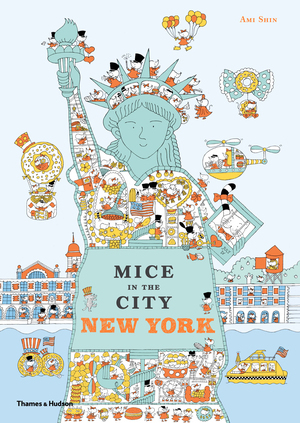 Ami Shin’s meticulous and and captivating illustrations uncover New York’s greatest landmarks in a new and delightful way that is sure to capture the imagination of children and parents alike.